Happy Sunday, loves! I can't believe that this is the last weekend before Xmas. Which means that these are the last few days where you can get your Xmas gifts delivered in time. 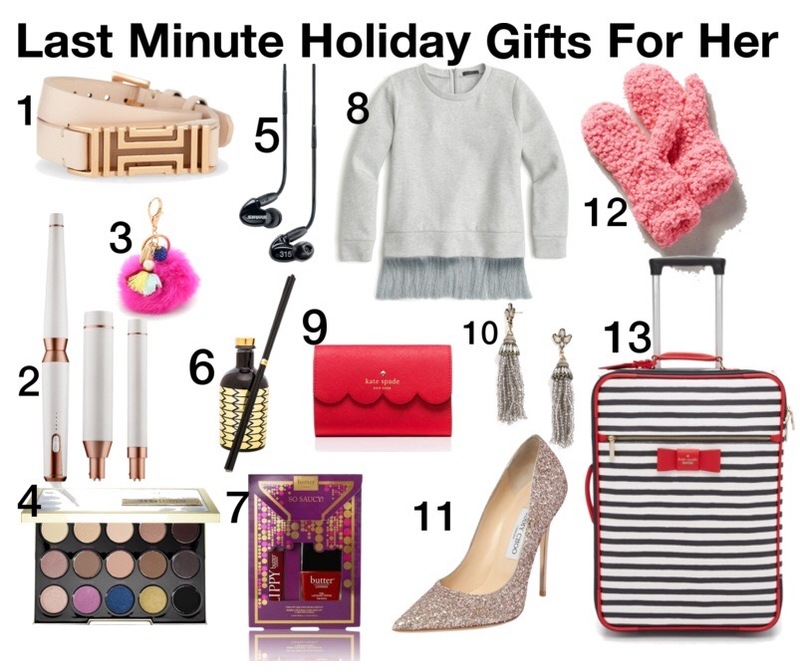 Besides my picks above and everything in the holiday shopping tab, I want to give you girls some shipping deadlines for the most popular retailers. Standard shipping orders must be placed by Dec 21st at 11:59pm ET. To receive FREE SHIPPING on your in-stock order by CHRISTMAS DAY, place your order by 12pm ET on Wednesday, 12/23/2015 & enter code HOLIDAY at checkout. Order by Dec 23 at noon CT to get it by Christmas. Domestic orders placed by the following dates and shipped to addresses within the contiguous US that accepts UPS deliveries will be delivered on or before Thursday, Dec 24th. They currently are offering 20% off everything with code STOCKUP. This weekend only. #3 and #12 are my favorites... too cute!